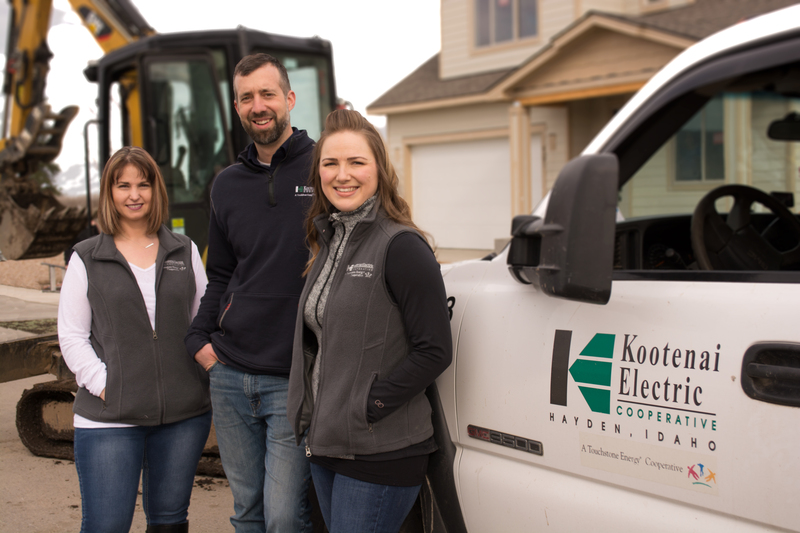 Welcome to Kootenai Electric. Please see the topics below to help commercial members apply for a new service or upgrade an existing service. If you are unsure of which application to use or have any other questions, please contact our office at 208.765.1200. For state licensed electricians: When ready to energize your service, please email electrical permits to oktoenergize@kec.com. You can also view our Electric Service Handbook. Completed applications can be submitted to our office. Payments for any applicable fees can be made by cash, check, Visa or MasterCard. Building a new commercial facility? Looking to bring infrastructure to vacant land for a commercial building? We're here to help! Once a field engineering staff member is assigned to your project, they will be in touch to schedule an onsite meeting. Applying for service to an apartment complex or other multi-dwelling? Looking to attach to our poles? Seeking service of 1,000 KW or more? Interested in a large load of 1,000 KW or more? This includes server farms, crypto-currency mining or other activities that use a significant amount of power. Please complete our large load request form and our staff will be in contact with you to discuss your power needs. Please note that large load requests may not be available in all areas of our service territory.